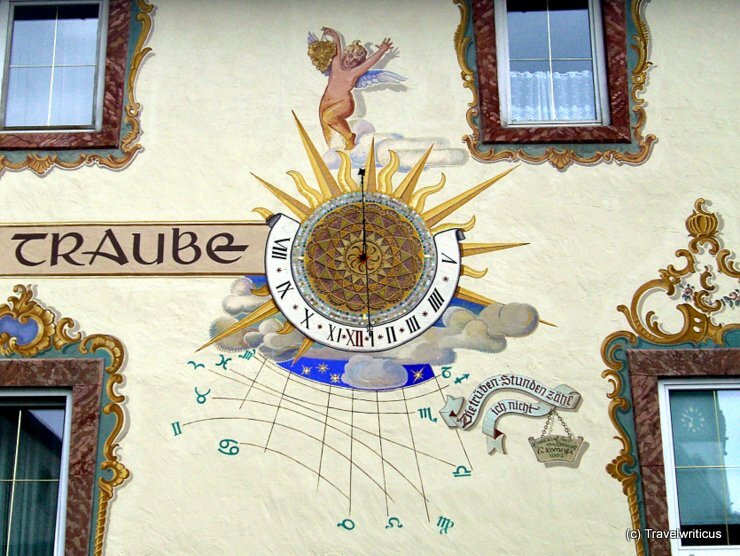 A sundial seen at an old inn located in a city called Golling an der Salzach. The saying in the right bottom corner tells that this clock is not counting the cloudy hours which is actually a pun. The German term trüb describes a weather condition as well as a mood. So the phrase invites people not to stick to a bad mood. This entry was posted in Sundials and tagged Austria, Golling an der Salzach, Salzburg by Travelwriticus. Bookmark the permalink.